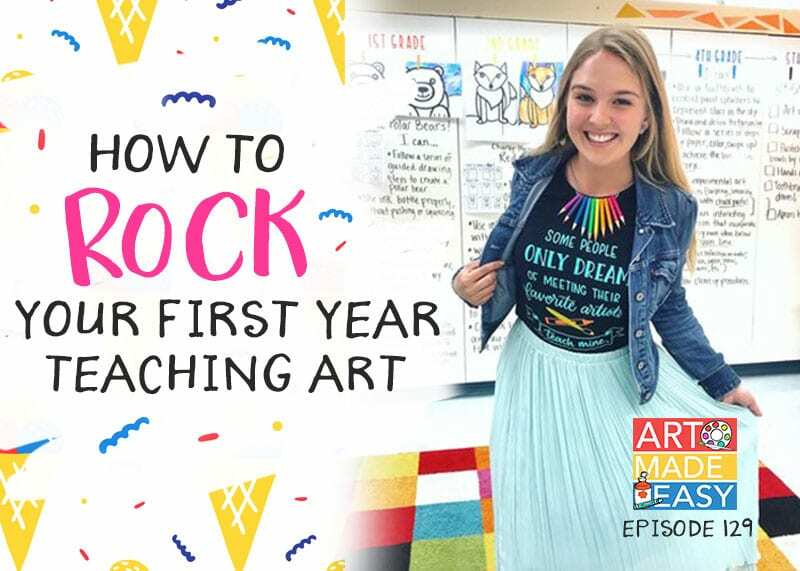 Do you struggle with managing the flow of your lessons in your art room? Perhaps your students complete their projects at different times or maybe some children don’t finish their projects at all? 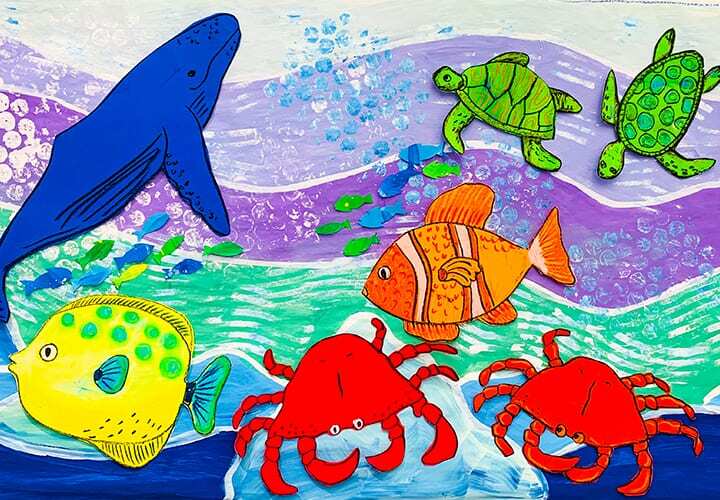 Children finish art projects at different rates because they are individual artists. We can’t change that but we can adopt a few strategies that can help streamline your time with your students. Maintaining classroom control is important to most teachers, especially those with schedule that leaves little room for flexibility. And sometimes maintaining control means creating a timeframe in which all children complete their art work at roughly the same time. 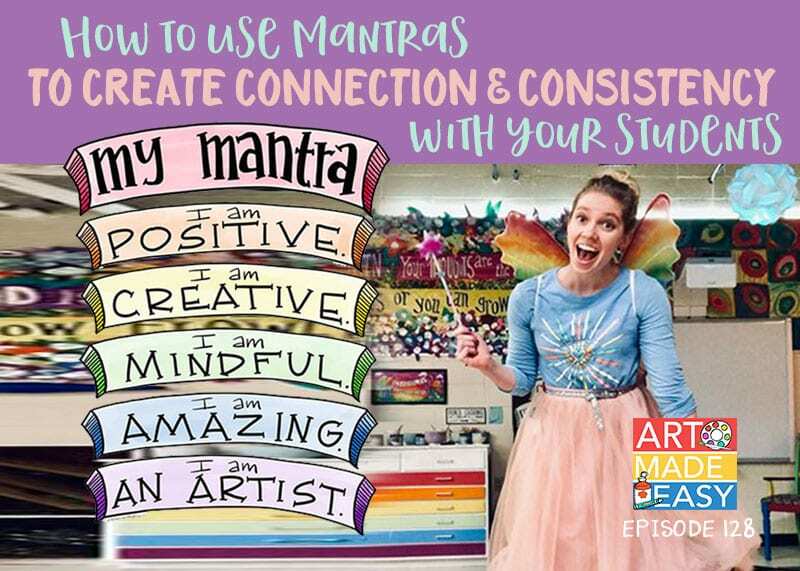 One way to create easy flow in your art room is to have a teaching structure that is the same each day: welcome and transition, art project intro, demos, create and clean-up. Wouldn’t it be a dream if the children cooperated? Perhaps but it would also be a bit boring, right? 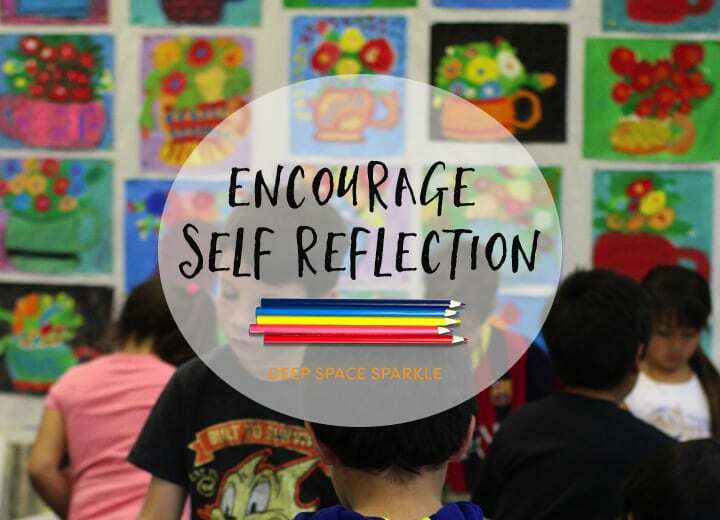 We want our students to come into art ready to create–at their own pace–yet be mindful that they are learning new skills and need to complete their efforts within a time-frame. 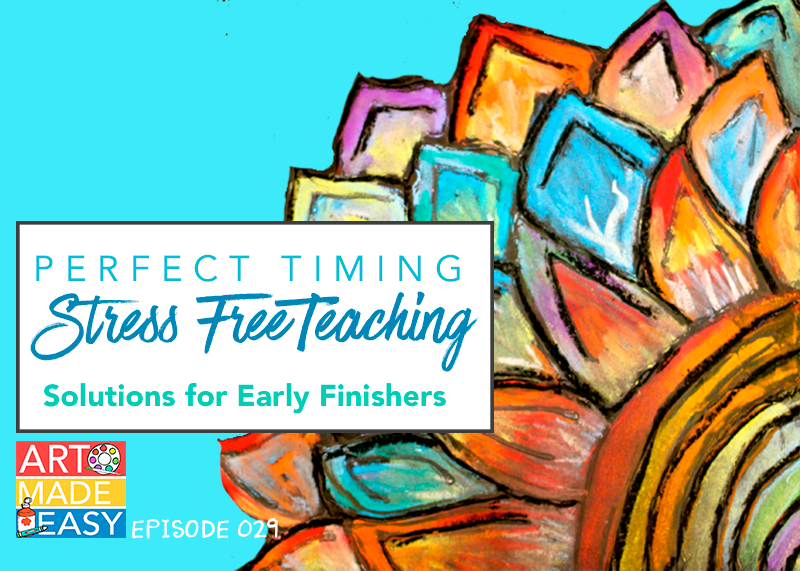 Many art teachers I know have an excellent balance of routine and then a free-choice option for any early finishers. 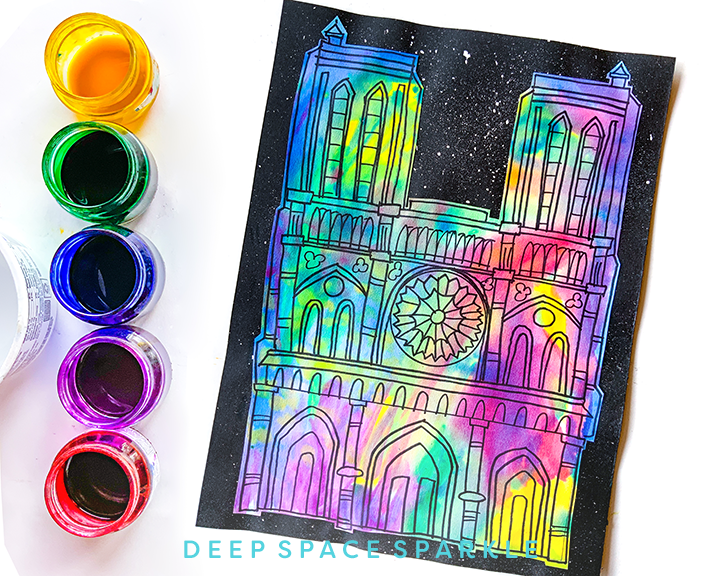 Before we delve into some super-creative ways to occupy the last few minutes of class, it’s important to note that free-choice art time shouldn’t compete with the art project itself. 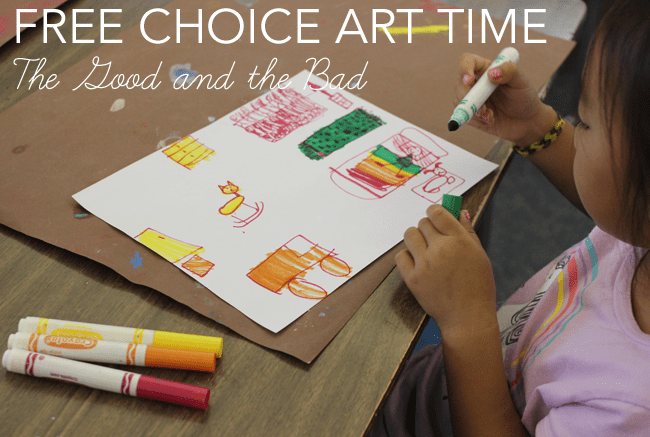 A while back, I asked art teachers to weigh in with their ideas for free-choice time and some of the ideas sounded like so much fun I couldn’t help but wonder if kids rushed through their projects just to get to the free-choice activity. To combat this potential problem, make sure the kids show you their work before it goes on the drying rack. Don’t be afraid to ask questions that encourages a child to judge the readiness of their painting/project. Is this something you are comfortable asking? Are you afraid of insulting a child if you suggest a project is not complete? People always ask me how I get such great work from my students. Truth is, I have high expectations for them. If a child brings his art to the rack 10 minutes before the end of class and it’s clear that the project isn’t finished, we will engage in a little discussion. It’s hard to give exact examples because there are so many different scenarios, but the point is to evaluate the completion of a project. I’ve noticed recently that my students often wait at the drying rack to engage in these interactions. Most of the time we enjoy looking at the finished project and I tell them what I love about the painting. And so will they. Many times I will ask them if they are proud or if they had fun…anything to bring out how they feel about the project. Sometimes it’s a simple as complimenting a child for finishing because finishing projects has been hard for them in the past. Hesitant to offer praise? It’s up to you, but it drives me crazy when I hear art experts go on and on about how neutral you need to be around children. They aren’t as fragile as you think and some kids really value input and even like being “called out” for rushing a project. They know you care and begin to understand that art isn’t always a passive activity. The trick is to know your students. When I first started teaching, I was so paranoid that I would insult the child or say something wrong, that I didn’t say anything at all. I realized that wasn’t the energy I wanted for the classroom. I began making small notes in my day planner if a child seemed frustrated or taken-aback by a comment. Notes on their sensitivity levels weren’t meant to judge a child, but rather to help me understand their learning style. 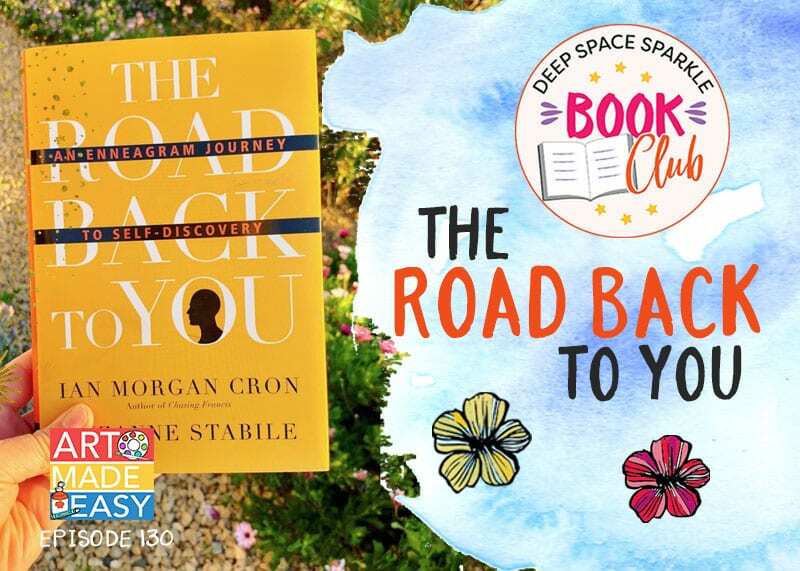 Even though I make my free-choice activity as basic as possible, many of my students consider moving to the free-choice table an achievement. Children aren’t stupid. 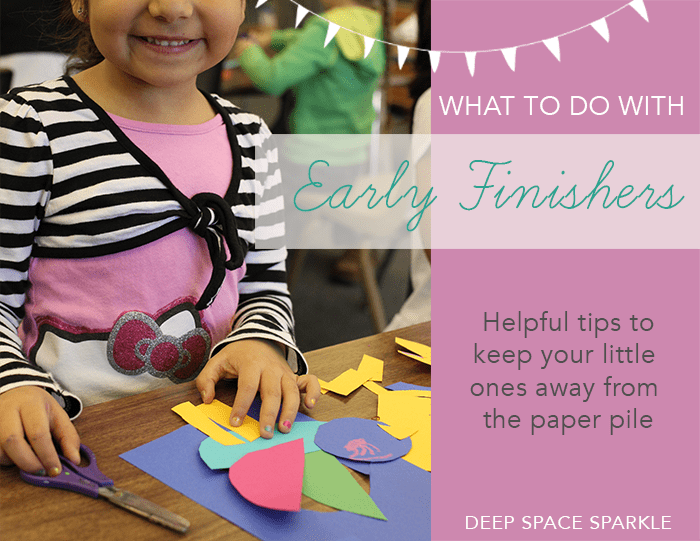 They see kids finish their project, place it on the drying rack and then indulge in paper airplane making or writing letters to their best friend. Most kids want a piece of this action. I see this in my inclusion children who so desperately want to finish the project so they too can progress to the free-choice table. Still, no matter how we structure our class or make the free-choice activity less alluring, some kids will just finish early. 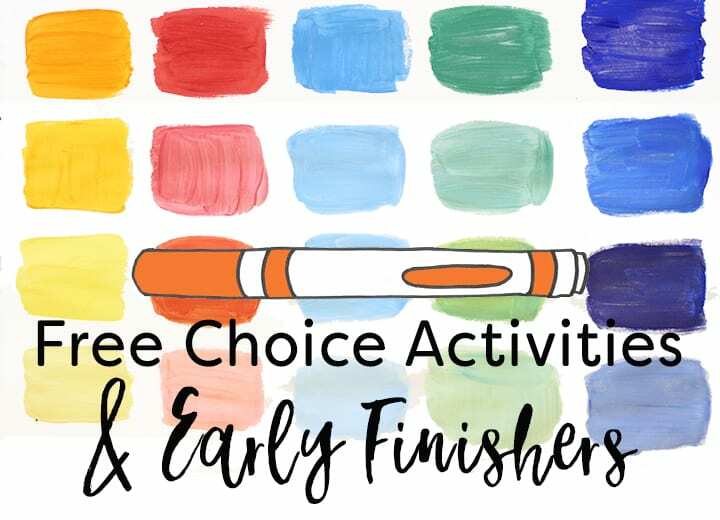 I have my preferences for free-choice art time, but it’s important to try a few things to see what works for you, your classroom and your teaching style. 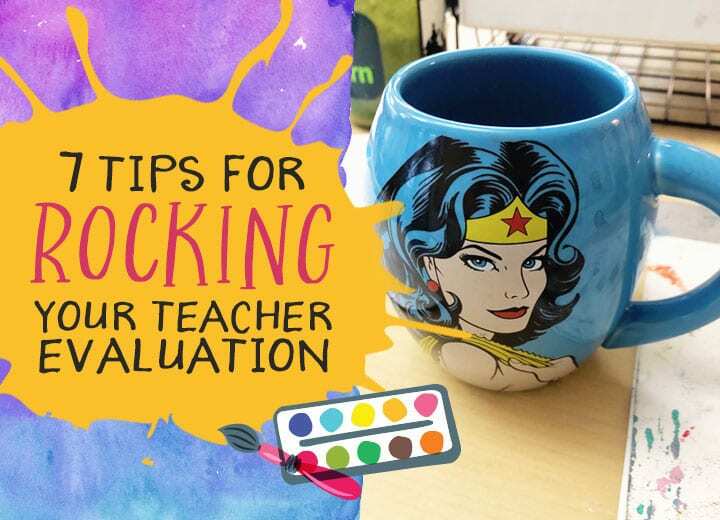 Here are some suggestions that other teachers have used and found success in…. Photocopy pages from drawing books and place in a tub. 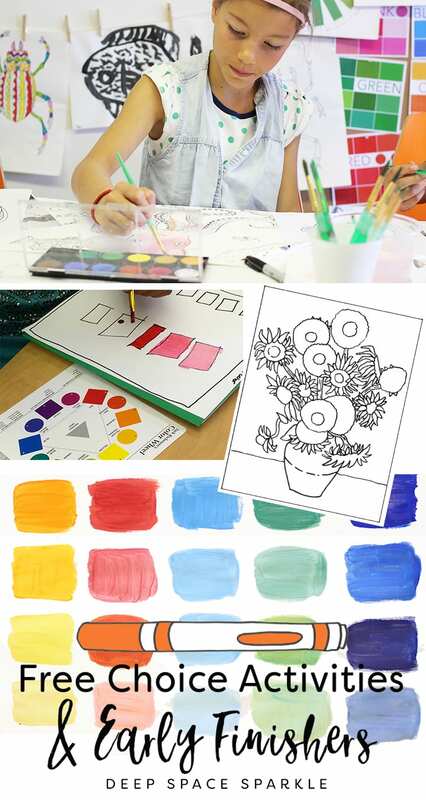 Allow children to select a paper and practice drawing the item. 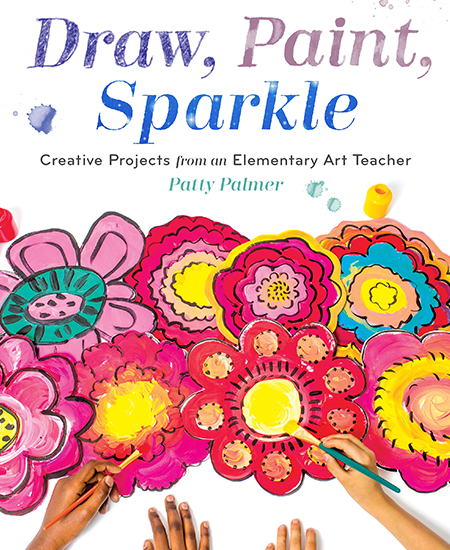 Create a book basket filled with art books, how-to-draw books, color books, etc. Laminate a Drawing Prompts Poster. Make a list of drawing ideas i.e. spaceship, your best friend’s prom dress, futuristic airplane, pet farm, etc. Use small dry erase boards as a substitute for paper. 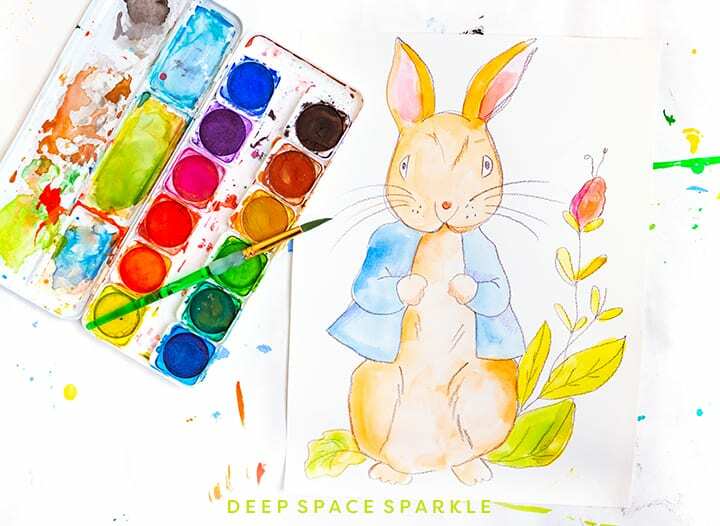 Don’t underestimate the intrigue of good old fashioned coloring pages! My suggestion is to pick an idea and see how it works. For me, I’m planning to do things a bit different next year. I plan to buy all of my students cheap sketch books to carry to art class. This will reduce the amount of paper we use and will give the child a lasting collection of his “thoughts”. Because oil pastel and paper have worked for me in the classroom, I feel confident that the sketch books will work out really well. 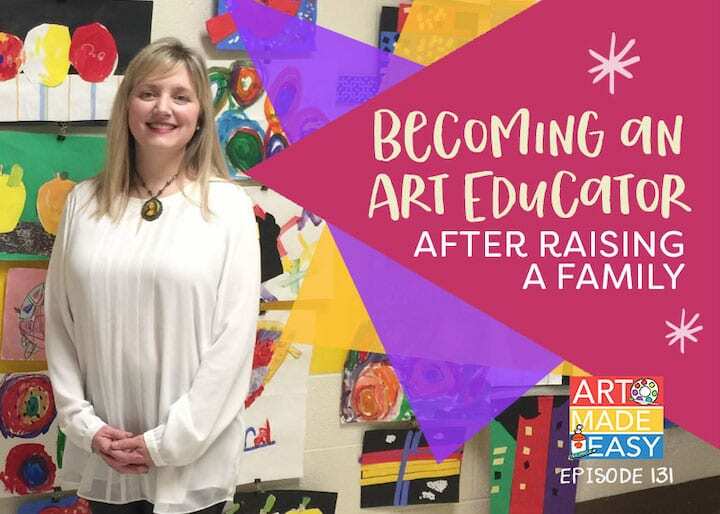 Want to learn more strategies for improving the timing of your art class? Great ideas! I have various drawing baskets organized by subject matter, a pattern block puzzle I bought at Target (students can work together to create the puzzle), a larger puzzle in the back of my room (I currently have a 1000 piece puzzle that by the completion of it, the whole school would have had a part in completing) and a few Spirographs that the students love to use when they are finished. My issue with younger kids K-3, is trying not to express my frustration when students do not follow directions. They either move on when asked not to or do something totally different. When I “call them out”, they usually cry. I’ve started having the class repeat instructions and sometimes this helps. 1. Are you trying to explain too much at once? If so, then break down the steps even further. 3. If you could deem this project successful, what would that look like to you? Sometimes, all we want is for children to learn a simple skill and to be content with creating. But often, we overlook that in favor of being “heard”.